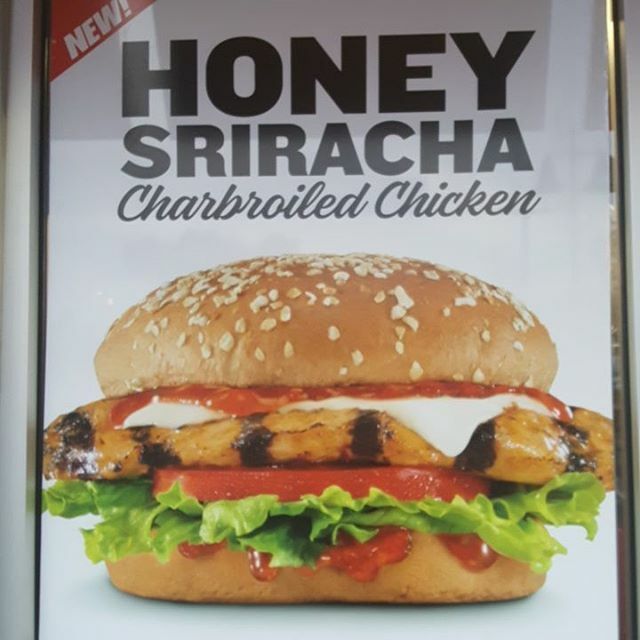 On the better-for-you side of the fast food menu, Carl's Jr. has been spotted testing the new Honey Sriracha Chicken Sandwich in at least one location in Southern California. Wreckless Eating (no relation), describes the new sauce as tasting like a combination of barbecue and Sriracha sauces. Besides the new sauce, the sandwich includes lettuce, tomato, a charbroiled chicken breast filet, and Swiss cheese on a toasted honey wheat bun. Basically, the new sandwich seems to be the chain's current Charbroiled BBQ Chicken Sandwich with the addition of cheese and the new sauce.